Virtual Reality (VR) has emerged as a new opportunity for transforming how we view the world, with the interactive learning environments of museums serving as the perfect space for visitors to have their first virtual reality experience. No longer just digitally animated worlds, virtual reality can use 360-degree video to transport visitors from face-to-face with a giant grasshopper to the top of a glacier in the Antarctic. The technology behind VR is advancing rapidly with a wide variety of equipment available to satisfy all your virtual, augmented or mixed reality cravings. In this Café, Aaron Poteate will discuss the technology behind VR, museum applications, and what to expect in the next five years. 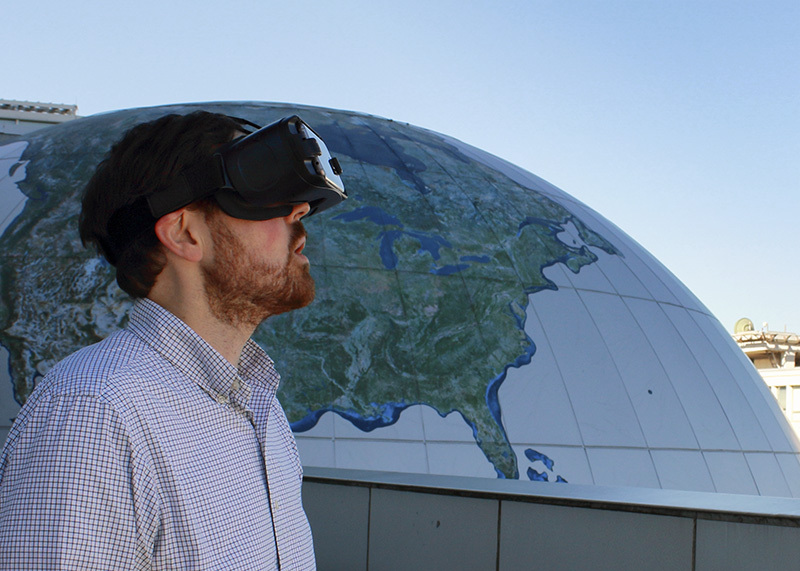 Aaron Poteate is Co-Coordinator of the Visual World Investigate Lab at the North Carolina Museum of Natural Sciences. His primary focus is using visualization and technology to create hands-on interactive experiences that inspire and educate visitors about science. Note: Click on the Event Posts button to select and view our previous Cafes.